I have spent nearly half of my career in some form of teacher leadership. Now that the horizon of 15 (!) years in education is quickly approaching, I have come to understand where I have made the most improvement (and done the most damage) as a leader of teachers and students. My mistakes and bad decisions have come with consequences, though I believe I was doing what I thought at the time was best for students. I have come to understand over time that both the positive choices and the not-so-good choices matter. I offer them here as "Do this/not that" advice for other emerging teacher leaders. In the past three years, this has most likely been my biggest area of growth. If you want to lead, you have to become comfortable, or at least willing, to have tough conversations. These conversations might be with your colleagues or subordinates. No matter the position of the person you are talking to, your willingness to confront the issues that can drive down the culture in a building create an atmosphere where real connection and collaboration can occur. I remember having an extremely difficult conversation with my direct supervisor recently. I was terrified the entire time internally, but as I maintained positive self-talk and breathed throughout the very necessary conversation, I could feel the air in the room getting lighter. I could sense that an exchange of meaning happened between her and I. The conclusion of the meeting was so much more free, authentic and generative. If you have a tough conversation in the 'inbox of your mind,' clear it out today. Like, right now. When you put off tough decisions and conversations, something insidious happens. They grow larger. Like snarling beasts, they take up space in your mind and in your future that you cannot retrieve. Every minute, hour or day that I waited to make a decision that I needed to make, the stakes only got higher and the consequences steeper. Putting off a tough decision that you have to make today probably guarantees that it is an impossible situation later. Teachers are inundated with so much data that really does not matter; your feedback as a leaders should not be a part of it. Great feedback is honest feedback. When I have dispensed with pretense and just told it straight, I have gotten more return on investment than any other type of conversation. To be fair, honesty is not absolute truth. There are many perspectives to the evaluation of classroom instruction. In those cases, I lead with the student outcomes and its alignment to the grade level standards. Are the students showing that they can independently achieve grade-level work? If not, we have to be honest about it. As a parent of one of my former students said to me during a conference about her daughter's behavior, "We have to get real, so we can get healed." This does not mean that compassion should not be a part of your approach. It just should not be your entire approach. In years past, I have allowed my compassion and understanding for teachers (and students) that I support overwhelm my better judgment. The imbalance led me to hold back what would have been honest and helpful for the teacher (and the student). When compassion is applied disproportionately to coaching, you get teachers who feel heard but get crushed under the weight of minimal improvement. We all have a right to be heard and empathized with, but the better use of our professional development lives lies in warm but demanding dialogue and real problem solving. Students getting better at completing grade level work is our job. There are other aspects to our profession that get the movie treatment and become the subject of great speeches and impactful novels, but if students aren't moving towards mastery, everything else we do will be undercut. I recently had a conversation with a colleague over an aspect of this idea. We discussed the importance of having a teacher who is a content expert versus a teacher who can relate well to students. In an ideal world, we would want both; but in this hypothetical scenario, the side we eventually came down on is content expertise. We want teachers who relate to students well, but we mostly want teachers who can teach content well which can only happen when they knowcontent well. In the book entitled, 'Where Good Ideas Come From,' Steven Johnson explains the concept of the adjacent possible. The idea is that when one advancement is made all future advancements that depend on that first breakthrough are now possible. The type of students we want to release to the world are children with soul, wit and the ability to transform their world. Deep knowledge of concepts makes that more possible than anything else. "Good is the enemy of great. And that is one of the key reasons why we have so little that becomes great. We don't have great schools, principally because we have good schools......Few people attain great lives, in large part because it is just so easy to settle for a good life." I have advanced this idea to why we do not have great students - it is because we settle for their willing participation and eventual graduation as acceptable signs of progress. Some of the best leadership moves I have made have occurred when I chose to not accept modest gains as a sign of 'the best we can do.' The pressure of high-stakes testing performance amidst the grind of a school year and the ever present challenges of student behavior and institutional bureaucracy can coalesce to press leaders into managers. I would rather walk against the wind as a transformative leader than manage a slow decline. We do not accept this phenomenon in any other of the foundational professions and we should refuse to allow it in education. Years ago, I showed up to an interview for a position that I believed I was qualified for, with about seven books. When the interview started, I softly laughed when they asked me if I had any experience in the field I was pursuing a position in and tapped on my stack of books as evidence of my prowess. I did not get the job. I did get a lesson in humility. The easiest position to talk from is one of perceived superiority. How quickly did I forget about the struggles I had with classroom management and conducting participant-centered professional development before I led with my library in the interview? When teachers turn into department chairs, coaches and administrators, we can forget the daily grind and struggle that accompanies just completing one solid lesson. The further we get removed from a full teaching load, the easier we think it is for the teachers we lead to change. This attitude then permeates into the way we assess and support teachers who obviously are not as 'skilled' as we are. We are not as skilled as we think. We must avoid thinking that our experience, expertise and skillset automatically give us authority over the teachers we support. Additionally, when we engage teachers in a win/lose situation when it comes to accepting our advice or changing their practice, we end up getting compliance at best or passive-aggressiveness at worse. I am thankful for the many times I have been humbled in the early years of my career, for they have led me to an education that I could not have attained any other way. Certainly not from a stack of books. These strategies are not meant to be exhaustive, but to inspire (and terrify) any teacher leader about the promise and pitfalls of leading teachers in schools. I recently had a difficult yet necessary conversation with a teacher that I was coaching. To be honest, I may have expressed too much frustration at what I would like to see her do with her students. As our conversation dwindled, I told her a statement that is as true today as it was the first time I attempted to teach a class: just make our kids one class period better than before. May that statement unite us all in this work. 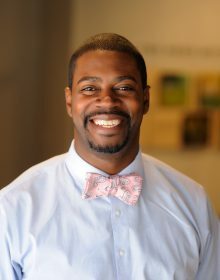 Josh Parker is the 2012 Maryland State Teacher of the Year and a member of Board of Directors for the National Network of State Teachers of the Year. 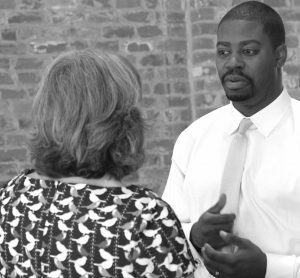 He currently serves as an instructional coach for the District of Columbia Pubic Schools. He will be presenting at NNSTOY's national teacher leadership conference July 14-19 in Washington, D.C.